List Building: Yes. JVZoo lets you automatically add customers to certain autoresponders. GetResponse, Aweber, and a few other well-known autoresponders are supported. One great feature is that JVZoo will take care of split-shares management for you automatically. This means that you can pay up to three joint venture partners every time a sale is generated. 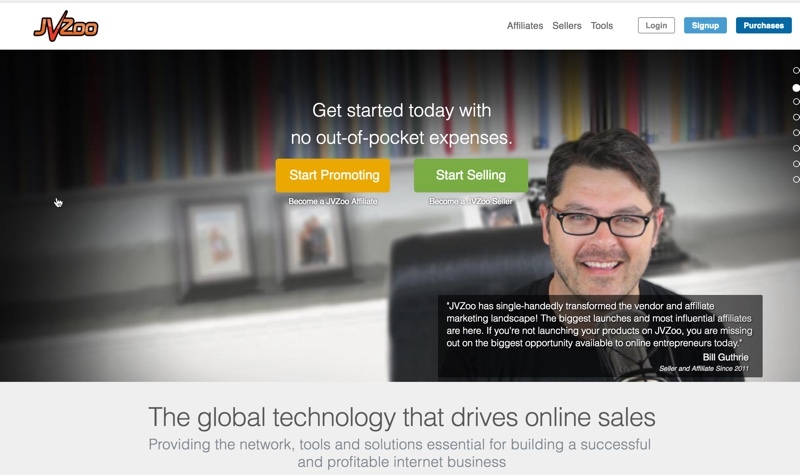 Another feature that makes JVZoo stand out is their sales funnel management. When people come to your checkout page, you can offer upsells and downsells to increase your per-transaction earnings. 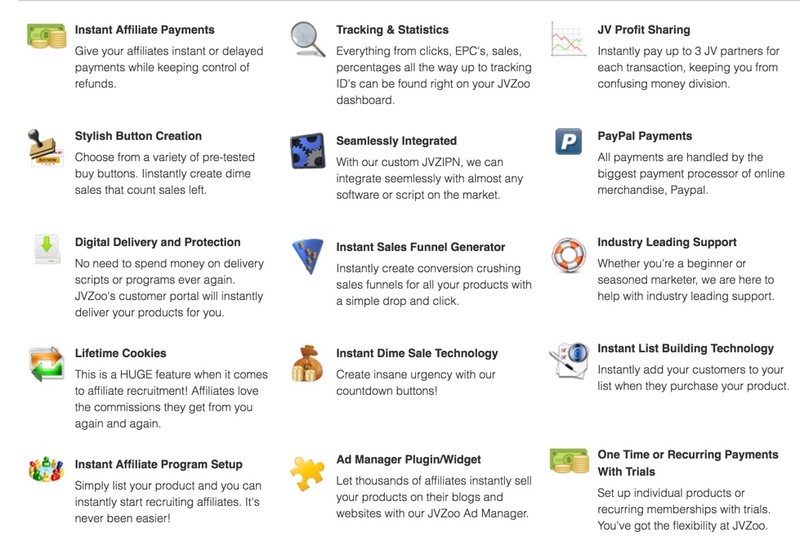 Still another good reason to use JVZoo is that they allow both you and your affiliates to get paid instantly. You can set a delay option for the affiliate, which is recommended to prevent fraud. If you know and trust your affiliates, then you can pay them instantly. JVZoo also lets you instantly subscribe your buyers to your autoresponder list. This is a quick way to build a buyers list without making your buyers jump through any unnecessary hoops. Here you get a choice: you can host the files yourself, or you can let JVZoo host them for you. Most vendors opt to host the files themselves. That’s because JVZoo doesn’t have the sophisticated file access control built in that you’ll find on other advanced platforms such as SendOwl. The other problem is that the system creates a new JVZoo account for the buyer. Some buyers have been confused by this, because they receive a login and transaction receipt from JVZoo itself as well as information coming from the vendor (such as login information, transaction/receipt, welcome emails, etc.). Plus if the vendor is doing automatically list building, then the customer will also receive emails from the vendor’s autoresponder mailing list to confirm subscription. End result? A new customer can easily receive three or four different emails after their payment is complete. And if the customer isn’t familiar with JVZoo, it may not be immediately clear to them why they’re receiving these emails, and/or how they can access the product they just ordered. Set up is pretty simply, as all you need to do is insert a JVZoo buy button on your sales page to start accepting orders. Take not that JVZoo does not host your sales page, so you need to host it on your own server or somewhere else. However, JVZoo can host and deliver the downloadable files to your buyers. There is a limit of 128 MB for the download, so this isn’t suitable for large files such as videos. 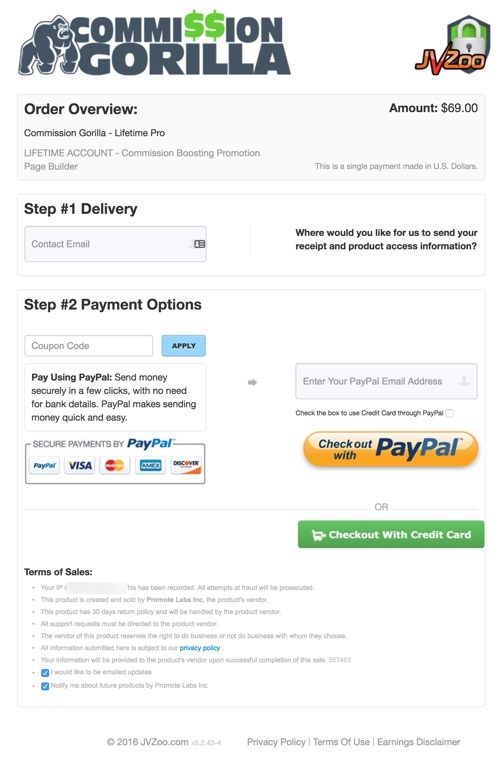 Vendors are paid instantly if you use PayPal as a payment processor. If you use the merchant option, then you will be paid when the transaction settles with the bank. 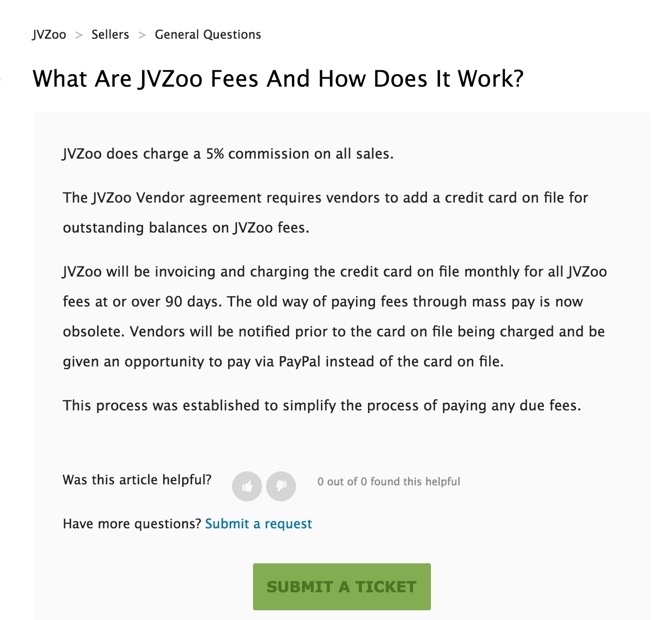 Take note that JVZoo does NOT withhold funds on your sales like some other platforms do to cover refunds. You can reach JVZoo through their helpdesk. There is no upfront fee or monthly fee to use JVZoo. JVZoo is easy to use and loaded with smart features such as a funnel generator, automatic affiliate bonus delivery, profit-sharing with joint venture partners, adding buyers to autoresponders, instant payment and handling refunds right from your seller dashboard. The downside of JVZoo is the fact that they have buyers create an account during the checkout process, which could create some confusion. 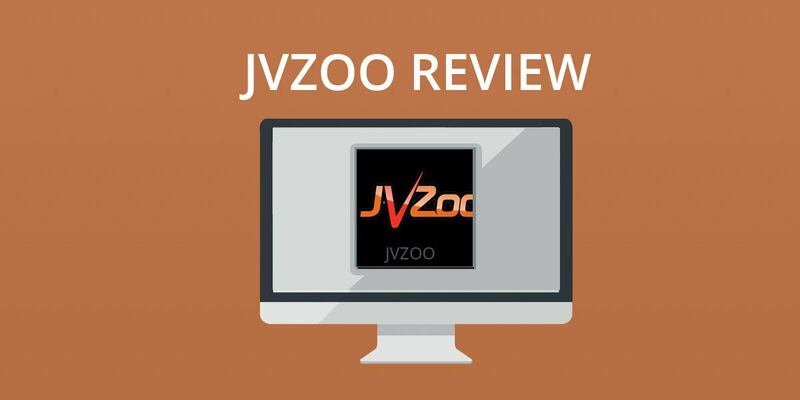 Bottom line: JVZoo tops our list of favorite platforms because of its powerful affiliate marketplace, the convenience of the JV partner’s profit-share function, and the smart automatic affiliate bonus delivery option. Almost anyone can use JVZoo, but those who are in the internet marketing niche will find it most beneficial. You can learn more about JVZoo by visiting them online just click the button below.